Sign-in with your Buffalo State student username and password. Sign up as a First Year student (freshman) or Transfer student (whichever applies to you). Why is Buffalo State doing this? Alcohol and sexual assault are key health issues on all college campuses. Part of creating a healthy community is providing campus-wide approaches to health and using tools such as AlcoholEdu and Sexual Assault Prevention. The College takes its responsibility to ensure your health and safety. We want to work together with you to create the healthiest campus possible. Buffalo State is committed to providing an academic environment where everyone can live, study, work and have fun safely. 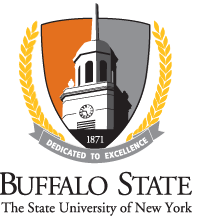 Why did Buffalo State choose AlcoholEdu/Sexual Assault Prevention? AlcoholEdu and Sexual Assault Prevention are online science-based alcohol and violence prevention programs that provide a tailored educational experience focusing on the impact of alcohol on the mind and body and on ways to prevent sexual violence. Research supports AlcoholEdu and Sexual Assault Prevention as an effective tool in creating a healthy campus environment for all students. Students who have completed AlcoholEdu are much less likely to develop alcohol problems or experience negative consequences (vomiting, hangover, blackouts) as a result of drinking. Sexual Assault Prevention provides important sexual violence prevention skills and strategies based on proven prevention theories to help students understand the many aspects of sexual violence. What is the content of the courses? Helpful resources, such as a BAC calculator and reference guides about alcohol and other drugs, that students can access at any time. When can I begin the module? The AlcoholEdu and Sexual Assault Prevention courses will be available on February 22, 2019 for students enrolling for spring 2019. Why do I have to wait 45 days to complete the course after part I? The 45-day wait is in place in order to have students apply the knowledge from the course to their specific college environment. The deadline for completing Part 2 is May 3, 2019. The courses are composed of surveys, knowledge tests, and alcohol or sexual violence related information. In Part I you will complete surveys, and knowledge tests. In Part II you will complete the final lesson and survey. What do I have to do to complete AlchoholEdu? The first portion of the course (Chapters 1-3 as well as two surveys and two knowledge tests) will take approximately 2.5 hours and we recommend that you complete it in multiple sittings. Approximately 45 days later, you will receive an automatically generated email, asking you to complete the course. At this time, you will need to log in again to complete Chapter 4 and the final survey. NOTE: Completing AlcoholEdu/Sexual Assault Prevention requires passing the knowledge exam and finishing the final chapter/survey. Only once you’ve finished Chapter 4 and the final survey you have completed the program. The college will not know your individual responses to questions in AlcoholEdu and Sexual Assault Prevention, so your responses will be kept confidential. But the college will know if you do not complete the courses. Students who do not complete the courses may have their records placed on hold or may be referred to the Student Conduct and Community Standards Office. I don’t drink. Do I still need to complete AlcoholEdu? All first year and transfer students are required to complete the course. Even if you don’t drink, you may still be impacted by alcohol use in the college environment. AlcoholEdu provides personalized paths through the curriculum so if you don’t drink, you will receive support and specific information tailored to your choice. AlcoholEdu will also provide you with important information regarding coping with potential drinking behavior of your peers. Why do I have to learn about sexual assault? That’s not going to happen to me. Unfortunately, every year some students at colleges across the country become victims of sexual assault. That’s why New York State requires that all colleges and universities in the State educate new students about sexual assault, relationship violence, and stalking. Sexual Assault Prevention will teach you the facts about these issues. It addresses assumptions and stereotypes. It will also help you understand the meaning of affirmative consent and about how to help if a friend is a victim of sexual assault. What if I don’t have computer access at home? Do I still need to complete AlcoholEdu/Sexual Assault Prevention? To take the courses, you will need a computer with Internet access and audio capabilities. If you do not have access to a computer, you can use any publicly available computer with Internet access and audio capabilities. Public computers are often available in your local public library, copy center, or community center. Buffalo State has a number of computer labs available to students. It’s free. There is no cost for you to take AlcoholEdu and Sexual Assault Prevention. When do I have to complete the course? What’s the deadline? First-year and transfer students must complete Part 1 of the courses by March 24, 2019. You will receive an automated e-mail approximately 45 days after you complete Part 1 reminding you to login in and complete the final section. International students will begin the course after they arrive on campus. You will need to retake the exam. Successful completion of AlcoholEdu and Sexual Assault Prevention includes passing the knowledge exam and completing the final chapter and survey. If you have documented learning needs that require an accommodation please contact the AlcoholEdu Team at alcoholedu@buffalostate.edu. Do I have to do the follow-up survey and chapter? Yes. Only after you have passed Part 1 and then completed and passed Part 2 are you considered finished with AlcoholEdu and Sexual Assault Prevention. My religious beliefs forbid alcohol use. Why do I have to do this? All first year and transfer students are required to complete AlcoholEdu. Alcohol use in the college environment has the potential to affect everyone. Even if you don’t drink you may be impacted by the potential drinking behavior of your peers. AlcoholEdu provides personalized paths through the curriculum so if you don’t drink, you will receive support and specific information tailored to your choice. Who will see my answers? How is the data kept? Will my parents be told what I report? AlcoholEdu and Sexual Assault Prevention include surveys that offer you feedback on your alcohol-related attitudes and behaviors and your knowledge of sexual violence. All survey responses are strictly confidential; Buffalo State College will only receive information about the student body as a whole and will NEVER see any individual student's answers. Because we require you to pass the knowledge exam, the AlcoholEdu and HavenEdu administrator at Buffalo State will receive only your score on the exam but this is the only information ever matched with your identity. Your parents will not have access to any information (including your score on the knowledge exam) unless you choose to share it with them or to sign an information release that allows us to share it with them. What do I do if I have trouble with the site? While we don’t anticipate you having any trouble using the site, should you experience any difficulties or require support, the AlcoholEdu Online Technical Support Center is available 24 hours a day, 7 days a week. Simply click on the "Help" button located in the upper right-hand corner of every AlcoholEdu/HavenEdu screen or call 1-866-384-9062. You do not need to be logged into the course to access the Help Site. I believe I need accommodations to fulfill the requirements of this course. What do I need to do? If you are a person with a disability who requires an accommodation in order to participate in this program, please contact the AlcoholEdu Team at alcoholedu@buffalostate.edu, or contact the Accessibility Services Office at 716-878-4500.
Who is the AlcoholEdu/HavenEdu Administrator? AlcoholEdu/Sexual Assault Prevention is administered by the AlcoholEdu Team, who can be contacted at alcoholedu@buffalostate.edu. Do I need a textbook or materials for this course? No. A textbook and materials are not needed. Everything that you need is provided to you online through the course. What if I took AlcoholEdu/Sexual Assault Prevention at my previous college or high school, do I need to take it again? Yes all new undergraduate students (Transfers and First Year students) must take the Buffalo State Version of AlcoholEdu/Sexual Assault Prevention. We incorporated campus specific information about sexual assault, violence prevention and campus resources that we feel all students need to know as part of the educational experience at Buffalo State College.